In case you missed it when the story first ran, the New York Times recently revealed that private entities (e.g., the Bill and Melinda Gates Foundation) that give large sums of money to educational institutions might actually wield an influence over the processes of decision making at the recipient institutions. Bill Gates is allegedly reshaping national curriculum standards and state policies towards unions to his liking by throwing hundreds of millions of dollars annually at organizations that write standardized tests, etc. The accusation is a plausible one, although I don’t know enough about the specifics of this case to judge. However, I’d like to ask one related question: Why doesn’t the New York Times devote an equal amount of fear and trembling towards the potentially harmful effects of government manipulation of education? Over the last fifty years we’ve been bombarded with stories of school children being turned into lab rats for salaried bureaucrats with a Big Idea and control of a local, state, or federal education budget. Why no wringing of hands over the top-down social conditioning that goes on in public schools every day? 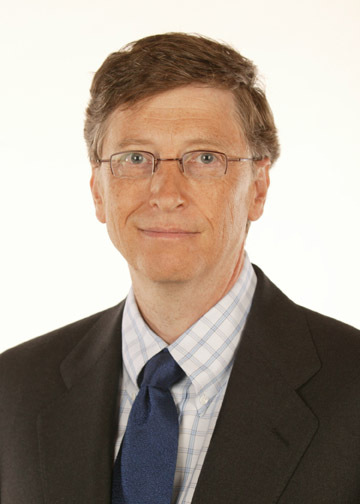 This entry was posted in Academia and tagged Bill Gate, education. Bookmark the permalink. Or alternatively, the editors of NYT could walk into the executive washroom, look into the mirror, and then wonder if their NYT college subsidy program — where faculty members get a free subscription if they require their students to subscribe at a discounted rate — is influencing education? I wonder how much more their subsription numbers would drop if they ended that program?